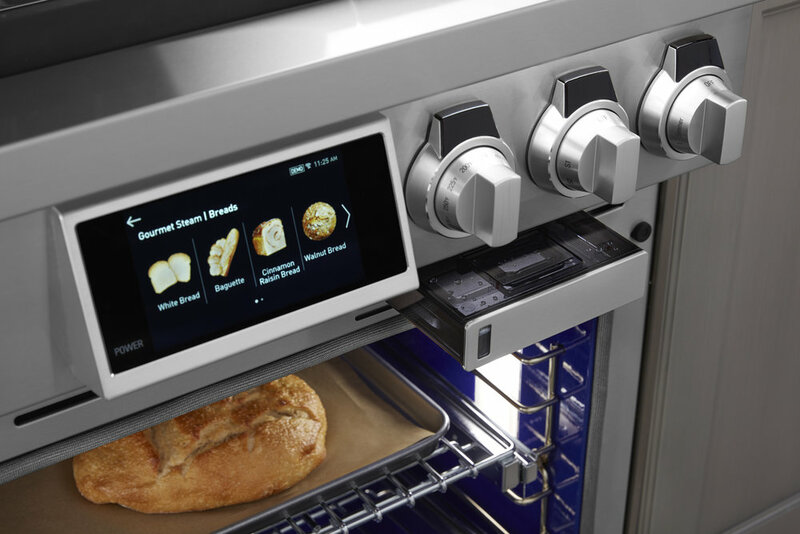 LG launched its high-end brand Signature Kitchen Suite in 2017 and began slowly building its asset portfolio. The brand reaches affluent homeowners who love to cook. 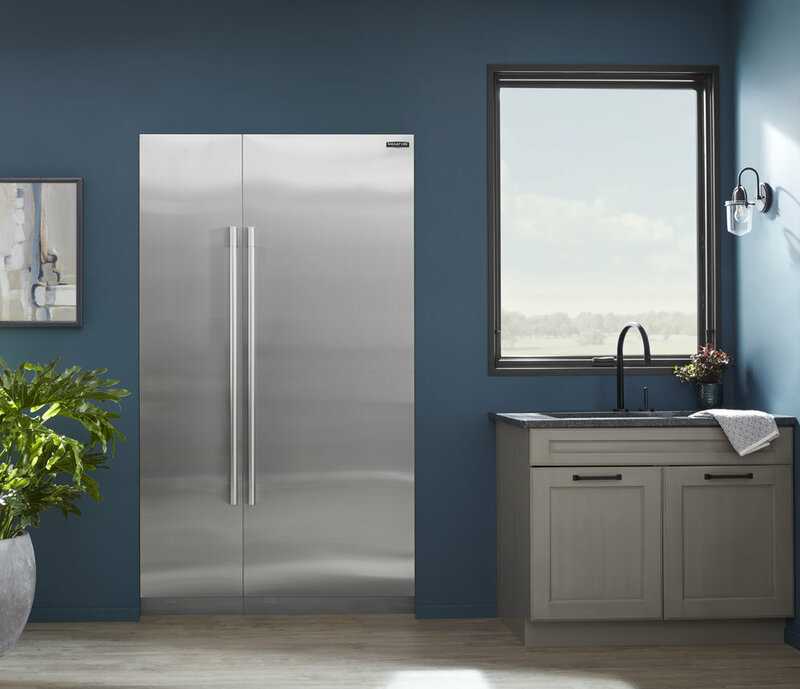 In 2018, it was launching its new 36-inch Dual-Fuel Pro Range and hood, 30-inch Integrated Column Refrigerator and 18-inch Integrated Column Freezer and needed inspiring imagery. Studiobstyle stepped in, including the appliances in a bstyle brandboost co-op kitchen set that would eventually make its way into a multi-page spread reaching millions of upscale readers. Studiobstyle designed an open, industrial kitchen that featured a trend-forward navy color – the latest cool neutral. Due to Signature Kitchen Suite’s affluent target market, studiobstyle combined the appliances with like-minded brands including Jeffrey Court glass tile, custom navy cabinetry from MidContinent Cabinets, matte black faucet and sink from Kallista and custom black Pella windows. Signature Kitchen Suite’s stainless appliances pop, especially with the addition of a back focal wall. Studiobstyle pitched this trend-forward kitchen to the Star Tribune magazine, which featured it in a two-page spread and included on-page mentions of the brand. The magazine reaches 10 million affluent homeowners.